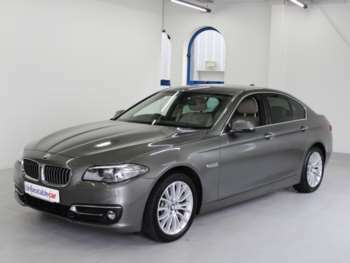 The 3-Series’ bigger brother, the 5-Series is a mid-executive saloon designed to keep the businessmen of the UK happy as they travel up-and-down the country doing business-type things. Since its birth, it has become the yardstick for the saloon market. It’s the car that every manufacturer aspires to; it’s just the absolute business. The 2003-2010 model caused a lot of controversy regarding its radical styling, which was done by Chris Bangle. Despite this initial row, most people have come to terms with the 5’s looks and now, with the new model, it’s become a lot more understated. 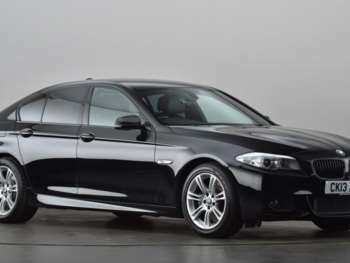 What most people think about when they think 5-Series is the M5. Since the first one arrived in the 1980’s, everyone wants one. It’s an expensive top-of-the-range fire breather with more power than God and more performance than you could ever imagine. 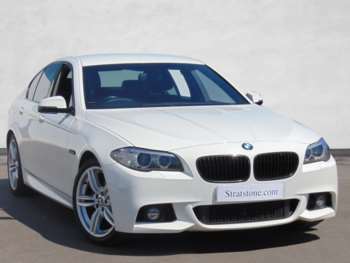 Cruise control, climate control, traction control; there’s a lot of control with any 5-Series. Whichever model you pick, you’re guaranteed to be up to the neck in gadgets and tech. 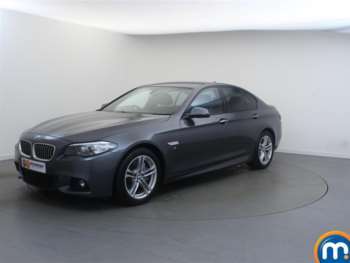 Whether you chose the M5 which has about a trillion different options for gearbox ratios and power, or you get a basic diesel, the 5-Series will stun you with its technology. 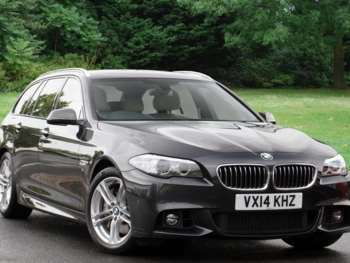 Most 5-Series are designed to be powerful and economical. 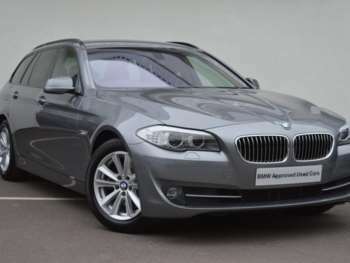 So even a small engined 520d will keep you entertained on long journeys. The best diesels come with the 530d and 535d. These beautiful engines are unbelievably torquey and very, very impressive on the open road. In truth, they probably make more sense than the petrol V8s. 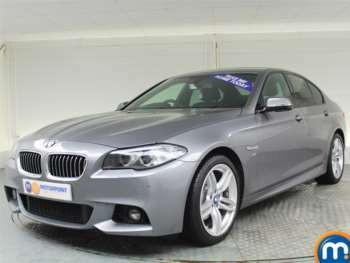 If you want a relatively modern 5-Series you’re talking anywhere between £14,000 - £26,000. There 5-Series holds its value extremely well – thanks mostly to its fan-base and reputation – but there are bargains to be had out there. 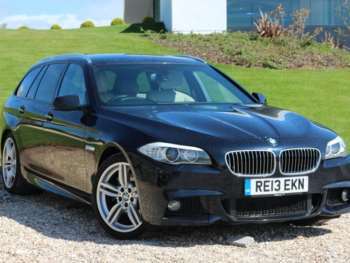 The V10 M5 will set you back around £30,000, but it is the absolute pick of the bunch if you can afford the biblical running costs and insurance. 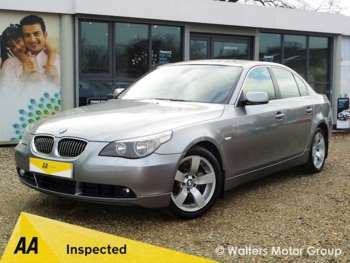 Like any BMW, quality is of paramount importance. They are well-built cars, so in theory, there shouldn’t be too many problems. Check to see if the car’s had lots of owners in a short amount of time. If it has, it could be a car with plenty of issues; so walk away. 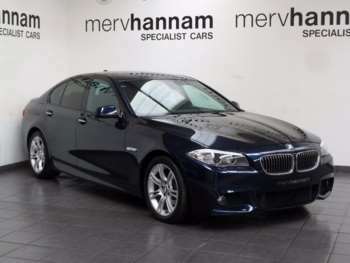 The 5-Series has big alloys, so make sure they’re all in check, or you could be faced with a refurb bill of up to £70 per alloy. Again, parts are not cheap for the 5-Series. Buying from the main dealer will cripple anyone financially, as exhausts are upwards of £500 and clutch assemblies aren’t far away from £200. 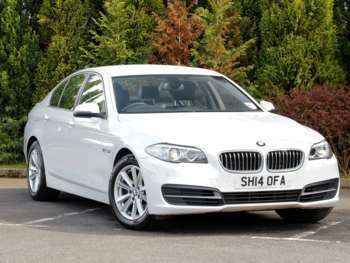 It’s a dear do owning a 5-Series, but if you get a good one, they are worth the money. Ah, how does the 5-Series drive? What a question that is. Well, in short: Brilliantly. Absolutely brilliantly. 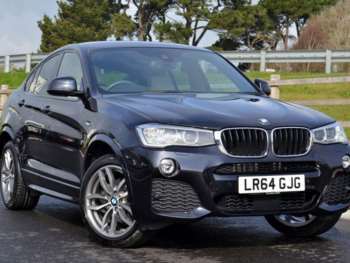 It is not a small car by any means, and some of the models do drive a bit harshly – thanks to the suspension – but for the most part, they are just awe-inspiringly superb. There’s little body roll, lots of power and plenty of composure through the bends. The M5 takes power to a whole other level with a 500bhp V10, but even the diesels are a hoot to drive. You won’t be disappointed!